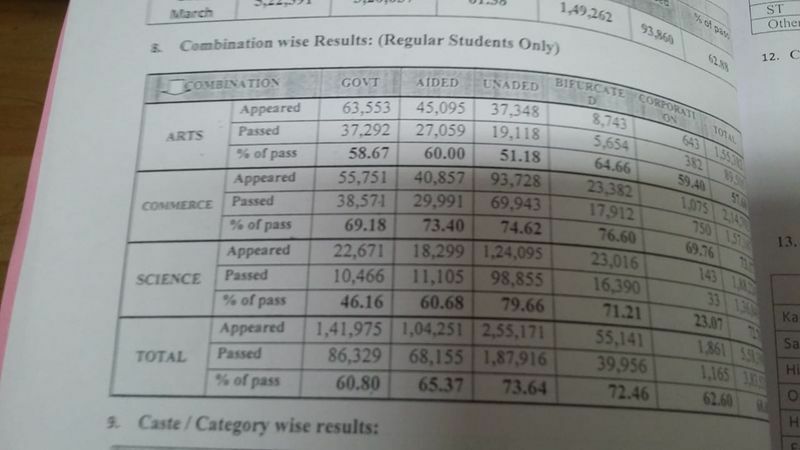 Udupi topped the list in second PUC results with a pass percentage of 92.20%, followed by Dakshina Kannada with 90.01% and Kodagu with 83.31%. Chitradurga is at the bottom of the list with 51.42%. Bengaluru: The Department of Pre-university Education (DPUE) has declared the results of second PUC examinations held earlier this year. The results were announced online at 12 PM today (April 15) and will be declared in respective colleges tomorrow, on April 16. 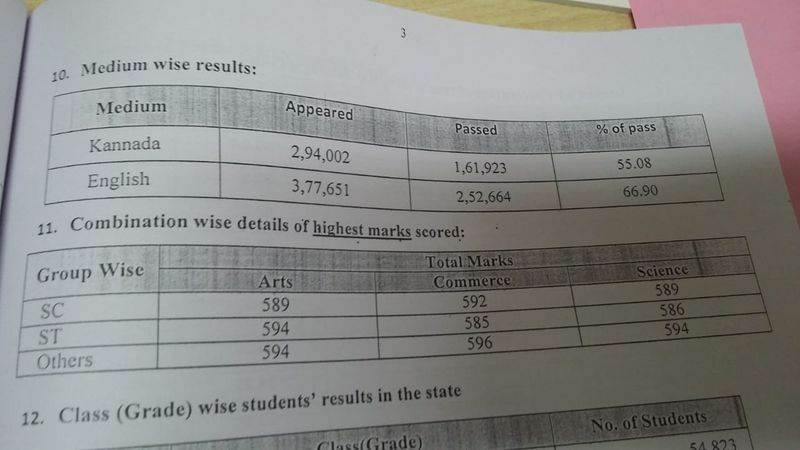 A total of 61.73% students have passed the exam out of which 68.24% are girls and 55.29% are boys. 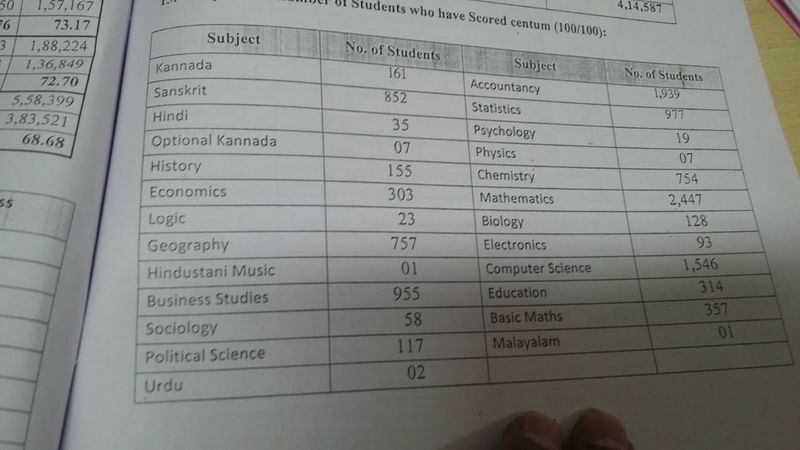 Udupi topped the list in second PUC results with a pass percentage of 92.20%, followed by Dakshina Kannada with 90.01% and Kodagu with 83.31%. Chitradurga is at the bottom of the list with 51.42%. In the Arts stream, Swathi S of Bellari has secured the first rank with 595 marks. In Commerce, Varshini M Bhat of Bengaluru has secured the first place with 569 marks. In Science, Krithi Mutagi of Bengaluru has secured the first rank with 597 marks. 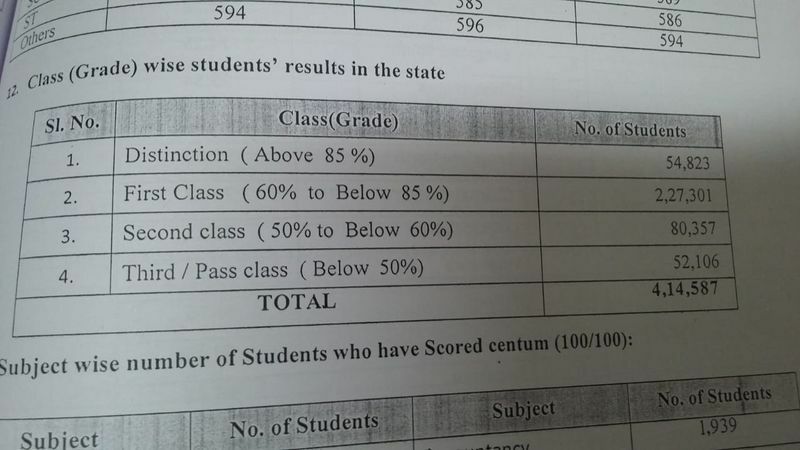 In the state, 80 colleges have recorded 100% results, whereas 98 colleges have zero pass percentage. Students can apply for revaluation till May 8. The supplementary exam will be held in the first week of June. A total of 6.5 lakh students attempted the second PUC exams that were held from March 1 to March 18. For the first time in Karnataka, the PUC results have been announced before the commencement of the Common Entrance Test (CET).